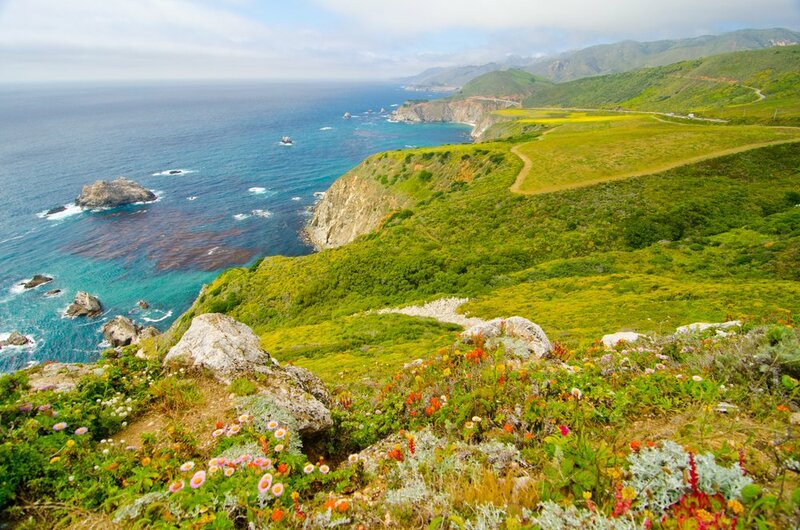 No California road trip on Highway 1 is complete without a stop at either Monterey or Carmel-by-the-Sea. It’s a truth universally acknowledged – the area is gorgeous and there are so many great things to see and do. Mr M and I packed the car and headed down the coast for the weekend in late October to see what all the fuss was about. Also because I was supposed to be home in Australia for a fortnight but couldn’t get there so I was feeling pretty ripped off. There are a multitude of blogs and websites on both of these destinations, so while we did visit some of the more well-known attractions (they’re popular because they’re awesome), we also tried to visit some other stuff. 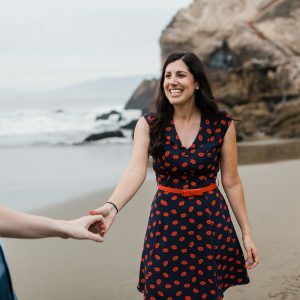 You can get even more information on off-the-beaten track attractions, places to stay for all price ranges, and the tastiest places to eat in my free resource library. Just sign up to the newsletter and you’ll get the password. 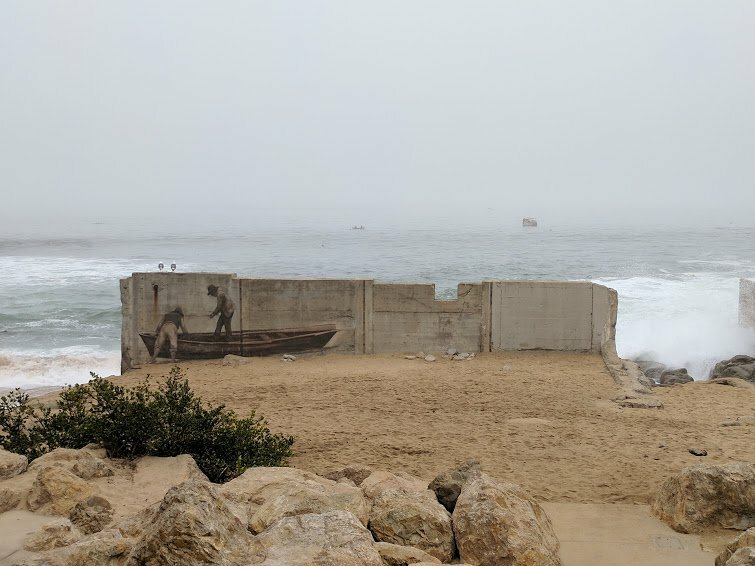 In my eyes, the distinction between Monterey and Carmel-by-the-Sea is that the former is your typical American coastal town. With a board walk of sorts, beachside restaurants and fish shacks, and a tonne of well-known stores. Meanwhile, Carmel-by-the-Sea comes at you straight from the UK. With a “High Street” teeming with high-end stores, elegant restaurants and day spas. It’s how the other 1/4 lives. I loved this spot so much that I wrote its own separate post. 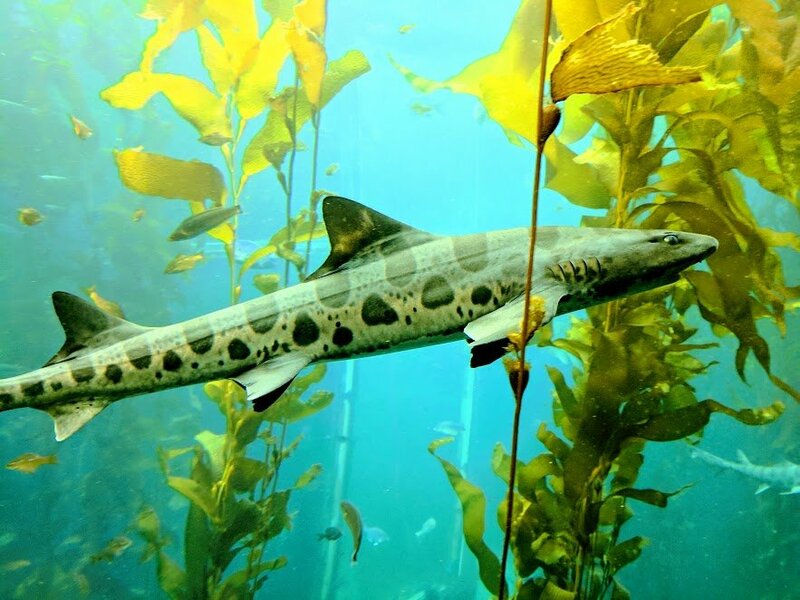 The aquarium is a kids’ dream come true, with areas that let them touch sea creatures like anemones and different kinds of kelp and seaweed. They can watch live feedings of sea otters and an ocean full of fish. What I haven’t mentioned previously though, is the Seafood Watch program. It helps consumers make educated choices when buying seafood, to ensure the supply does not die out unnecessarily. Unfortunately, the weekend we visited was the foggiest in existence (who knew Karl The Fog made it this far south?). So the butterflies weren’t out to play. But if you visit Monterey between October and February, you can see thousands of Monarch Butterflies huddled together for warmth. And if it’s a nice day they’ll be fluttering all over the place. 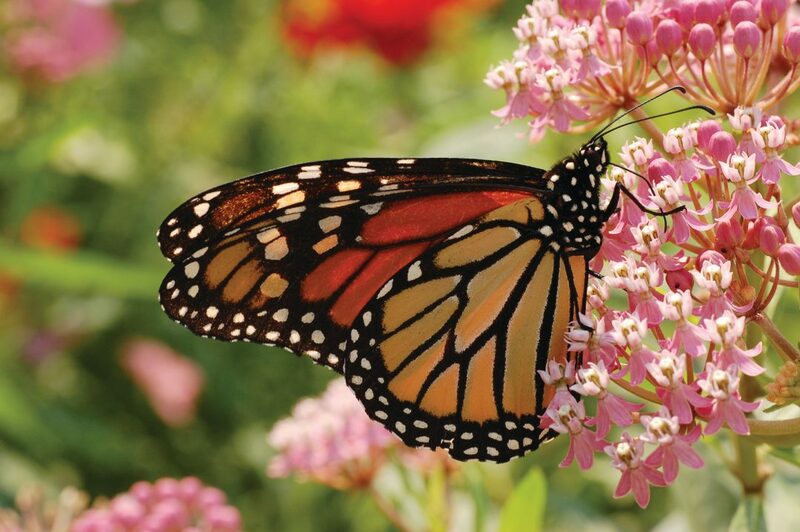 The butterflies migrate to the California coast for the winter. Entry to the Sanctuary is free, but be sure not to touch the butterflies – doing so carries a $1,000 fine. Did you know that Spanish Surrealist Dali and his wife lived on 17-mile Drive in the 1940s? He championed the arts in the area by helping judge competitions at local high schools and being part of committees. 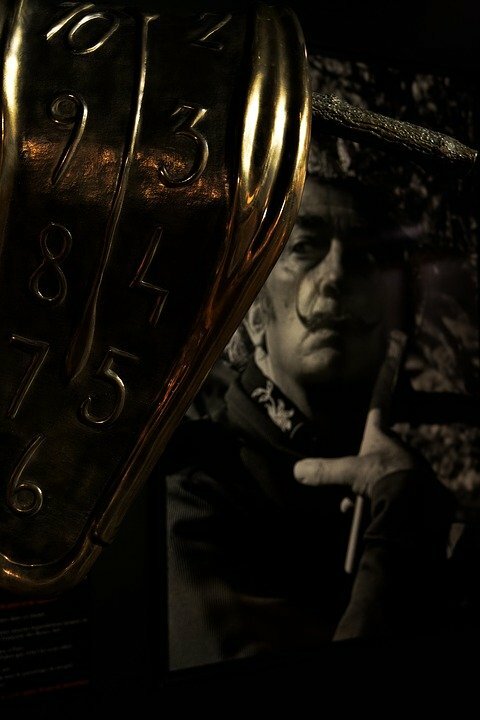 Art lovers can visit the Dali17 exhibition (named after the drive he lived on), to see Dali’s sculptures, lithographs, etching and other mixed media. It’s the largest private collection of the artists work in the US. I don’t usually include food recommendations in my posts, but it’s just too good to let you miss out on! We wandered over to the Monterey cafe for breakfast on our first morning and I felt like I was back in Europe. Mr M, who knows his coffee, was so taken with their espresso that he wanted to go back the next day (unfortunately they’re closed Sundays). 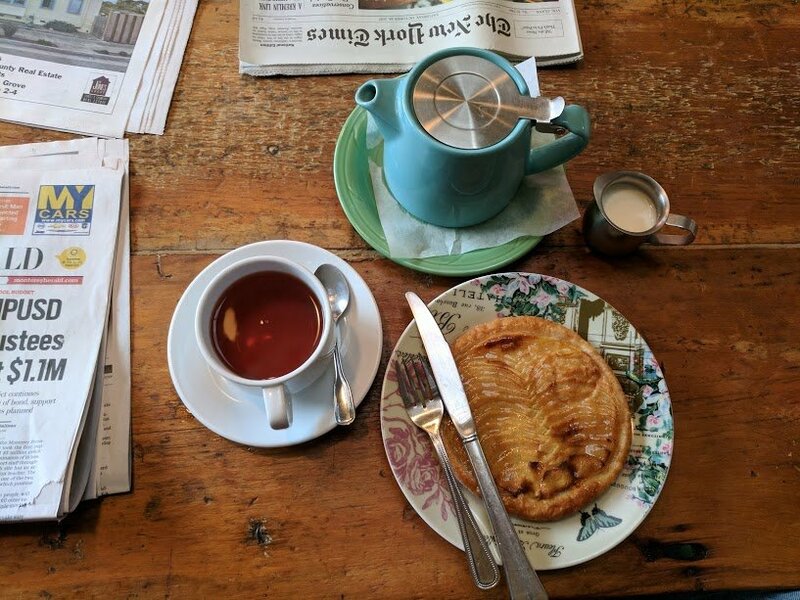 I had a delicious apple galette and secretly wanted to try everything in their display. You knew this was coming. Cannery Row is the main coastal street in Monterey, and used to be called Ocean View Avenue. It’s where the aquarium is located, but it was once swarming with fishermen and those who worked in the numerous sardine canning factories. Not the typical view of Cannery Row, but I loved this spot. The last factory closed in the late 1973, and the street was renamed Cannery Row in 1958, after author John Steinbeck’s famous novel. Steinbeck, who was born lived in the area for many years, wrote about Cannery Row in two novels, one of the same name and also Sweet Thursday. 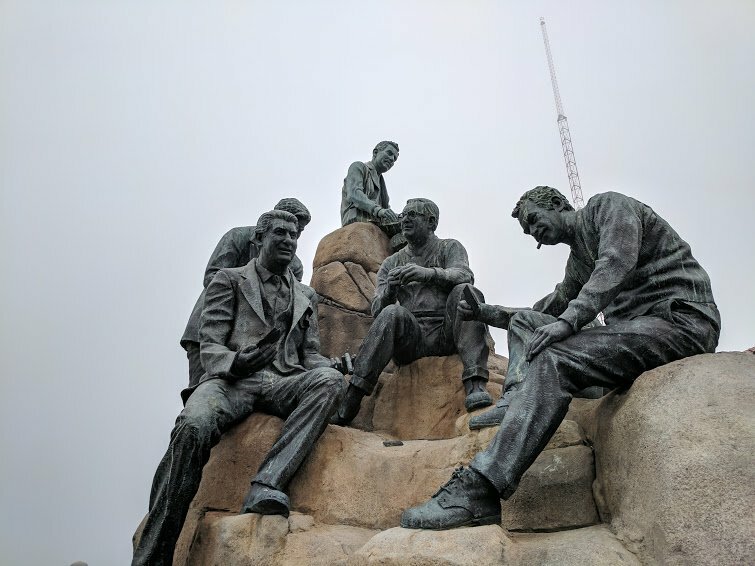 You can find a monument to the author and his friends on the street. Thankfully Cannery Row is no longer “…a stink, a grating noise, a quality of light…” as Steinbeck described it. Although parts of the nostalgia and dream remain. Apart from shops full of trinkets and baubles, there are cafes, seafood restaurants, the remains of cannery workers’ shacks and the ocean lapping at crumbled buildings. 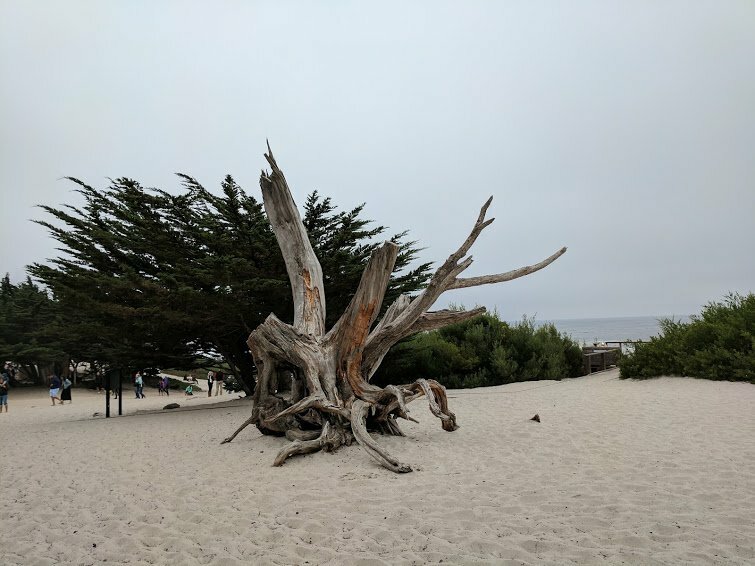 The space between Carmel-by-the-Sea and Monterey isn’t devoid of beauty or things to do. In fact, it’s probably one of the most beautiful parts of the area. Take advantage of it if you’re driving between the two, and don’t miss some of these fantastic spots. Light houses are my jam, but I’ve noticed that Northern California is more of a lightstation kind of place. Even though they lack the joy of climbing up high to get a view of everything around the, I do still enjoy the romantic notions of a lightstation/house. Saving mariners caught in storms, having an important job that requires you to be there to help others (maybe not so much in the era of electric lights). 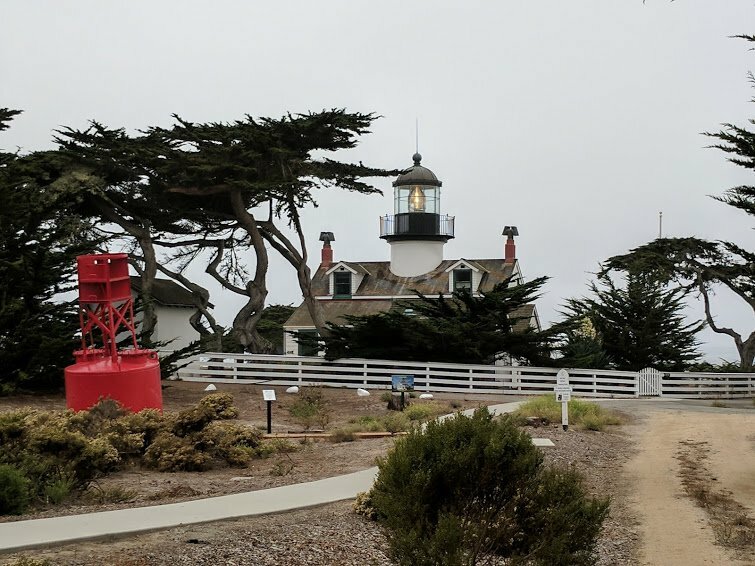 The Point Pinos Lightstation is the oldest operational station on the west coast and has been in use since 1855. Looking at the coastline, you can see why. It’s all jagged rocks poking out of the ocean in every direction. Be mindful that it’s closed to the public on Tuesdays and Wednesdays and only opens between 1pm and 4pm every other day of the week. 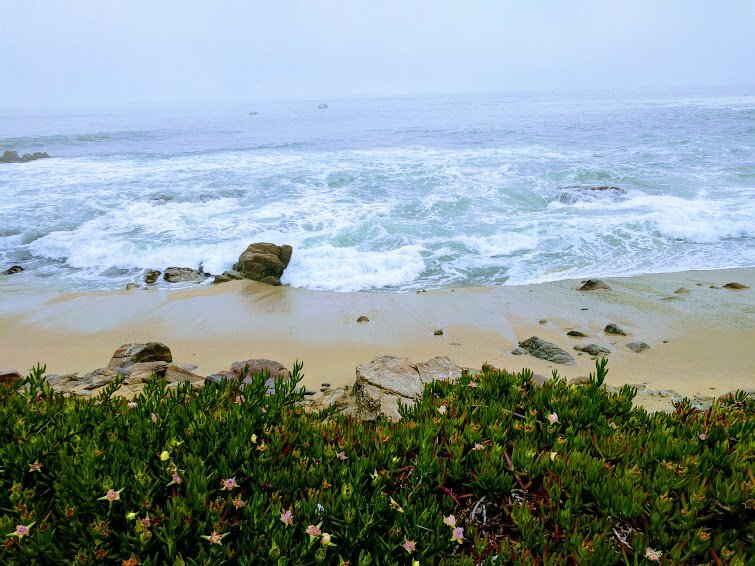 I highly recommend a drive along Ocean View Boulevard – a road that follows the coastline. It’s free (more on that later) with lots of great places to pull over and look at the sea. Visit between April and mid-December, bring a picnic and settle in to watch the migrating humpback and blue whales, as well as dolphins. If you’re there between December and March though, you won’t necessarily miss out though. It’s prime time for gray whales and dolphins. You can also book a whale watching tour that will take you out to sea to spot them frolicking. 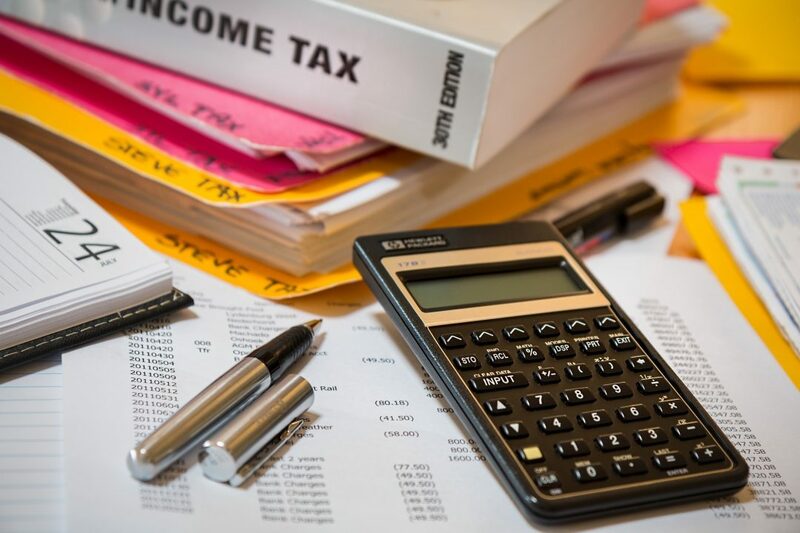 This is where the money comes in. 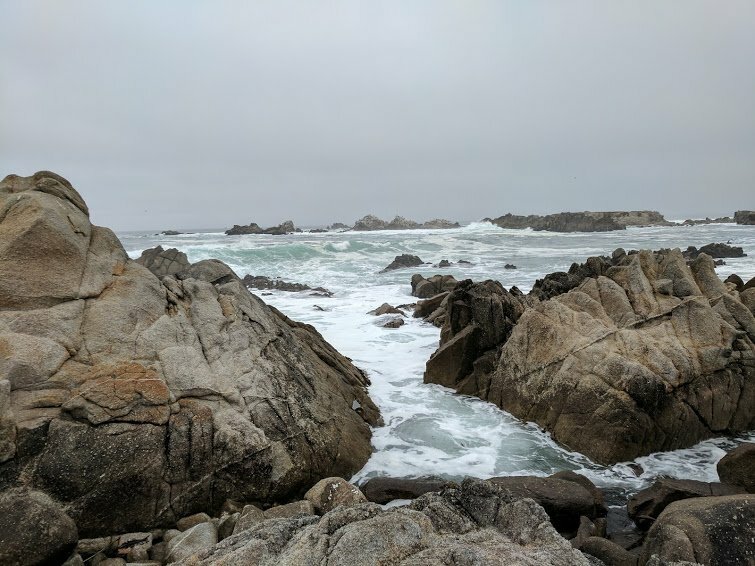 By all accounts, 17-Mile Drive is a gorgeous stretch of coastline between Monterey and Carmel-by-the-Sea. Unfortunately we didn’t get to drive it on this trip, because we didn’t realise that it requires a $10.50 cash payment at one of the five entry gates. We were smarter the second time around. For that price, you get a flyer that lets you in on all of the best vantage points and places to stop for picnics. The drive takes in an exclusive area, with beautiful houses and gardens tucked away. You’re going to notice that this is the beachside suburb for Californians with real money. Some of it mouldy from the inheritance, and I guess others from the tech boom. The houses are gorgeous, the main street has a real community feel and the beaches feel as though they’ve been left untouched. It’s a mouthful of a name, but it’s a fitting one for a compound with so much history. 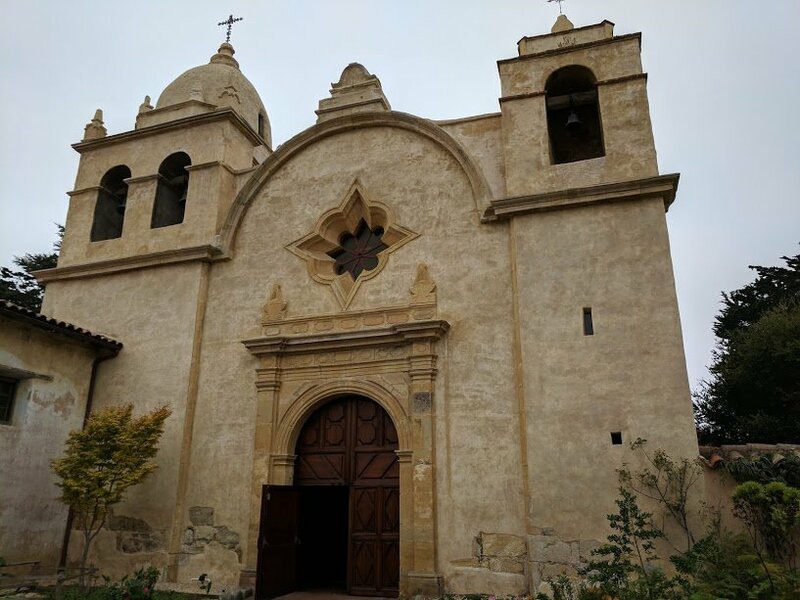 The mission includes a Basilica that is registered as a National Historic Landmark and includes a school, rectory, parish hall, museum and Spanish-style courtyard. Pulling up to the Carmel Mission Basilica is a treat in itself. Tucked into a residential area, the walls of the mission’s walls stand out from its neighbours. It was founded in 1770 in Monterey, but was moved to Carmel a year later by Franciscan Friar Junipero Serra. If you’re a fan of history, it’s well worth the $9 entry fee for adults. At one end of the 17-Mile Drive are the Carmel North Dunes. It’s the gateway to Carmel Beach and a project that the local garden club has taken on. The dunes are expansive, but the vegetation had suffered because of us humans, so the garden club have designated it a restoration area and are working to bring it back to life. It’s roped off but still beautiful to look at and walk around while you’re getting your fill of the fresh ocean air. Winos who like a tipple will be happy to know that they can go on a tour of 19 tasting rooms. The best part? You don’t need a designated driver because they’re all within walking distance of each other. And while I don’t particularly recommend hitting all 19 at once (unless you’re amazingly strong of liver), it’s a great way to sample the tastes of the local wine region. Ugh, Vegas. I mean, it’s great and I have friends there, but it’s just so… Vegas. I love the sound of your trip plan! Can you just drop him off in Vegas, do the rest of the trip with the kids (surely one of them can help drive) and then go back to pick up hubby? They both look like fantastic destinations. I love aquariums. They’re so peaceful. This one is less so on the weekends (kids EVERYWHERE), but there’s plenty of space! Yeah yeah the beaches and art and everything looks fantastic but you really had me at PASTRIES. And then you mentioned wine and I’m totally in. Will just have to rob a bank first. Where’s my balaclava? Ooh, I missed that as well. I’m going to have to get back for another weekend. Or maybe a week next time. I’ve never heard of this area so this guide was a perfect introduction. I’m strongly considering a visit for the wine tastings and animal watching! 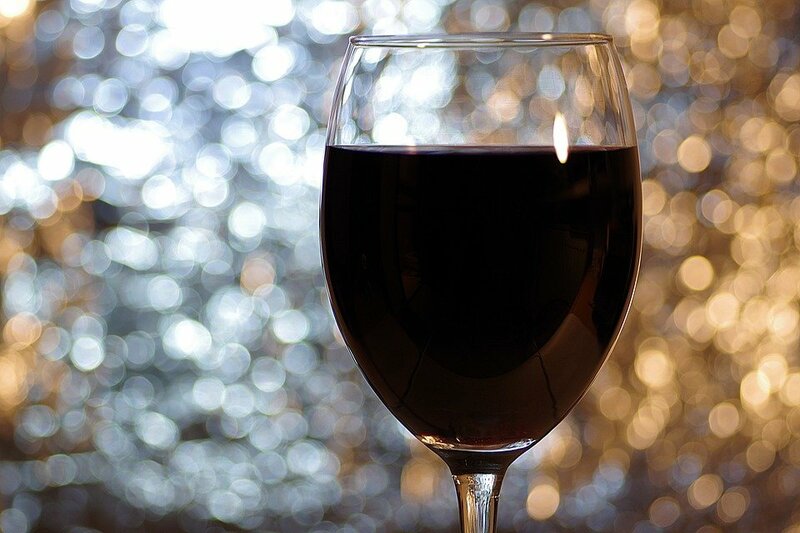 The wine tasting is a great reason to get there. I’ve never been to a place where there are so many tasting rooms within walking distance of each other. Our next trip to wine country and we are supposed to head down south to see both these wonderful places. Now I just have to manage to squeeze it in somewhere! Thank you for the great descriptions and photographs! Well I hope you have an awesome time! I didn’t get to the wineries, you’ll have to tell me what you think. This post shows how much beauty and history there is in the world close to you. What a lovely way to be compensated. Loved the lighthouse. 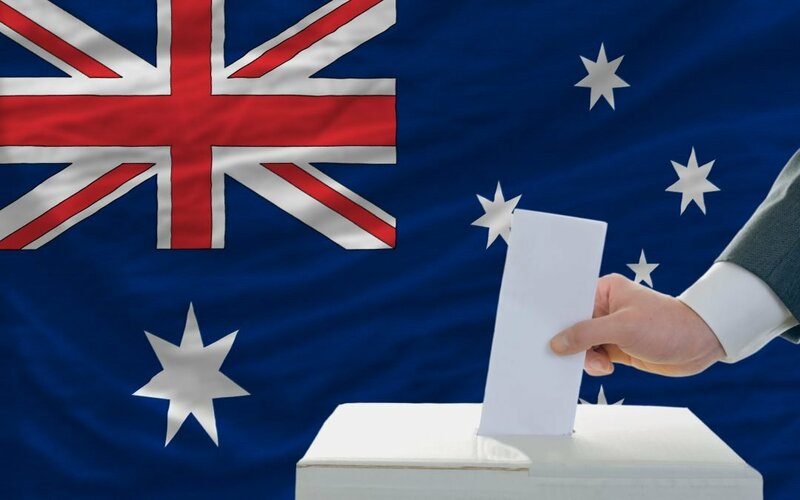 We have one on our doorstep at Norah Head and whilst I have not been over for a while I like that it is the place for the measurements of wind, rain & temperature for the Central Coast. Monterey seems like an awesome travel destination, Katherine. I especially loved the recommendation to visit Parker-Lusseau Pastries & Cafe which seems to be a pitch-perfect place. Do they have a good coffee there? Hey Katherine, glad that you had a great weekend in Monterey! 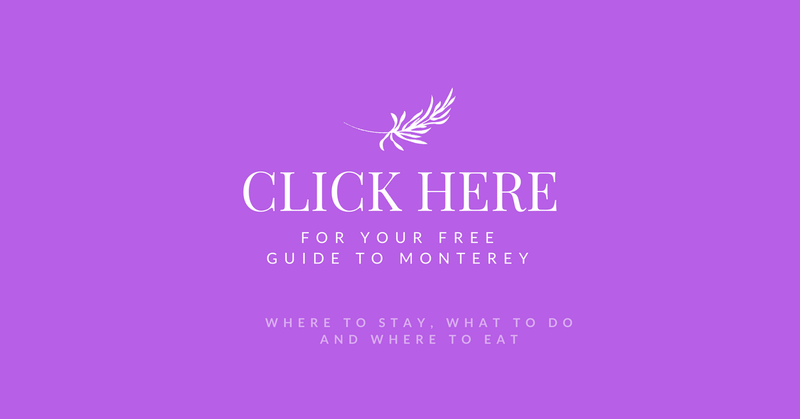 Sorry for not replying to your question on restaurants in my Monterey post. I was about to leave for my travels when your comment was posted and I had just returned after a month. Monterey is such a lovely charming place, isn’t it? My trip was way back then, many, many moons ago – my photos are in films – so you can imagine how long ago that trip was, lol! Great post! No worries at all Kat, I was being lazy anyway. We ended up eating lunch at Cannery Row Brewery one of the days and were so full by dinnertime that we didn’t eat out again. 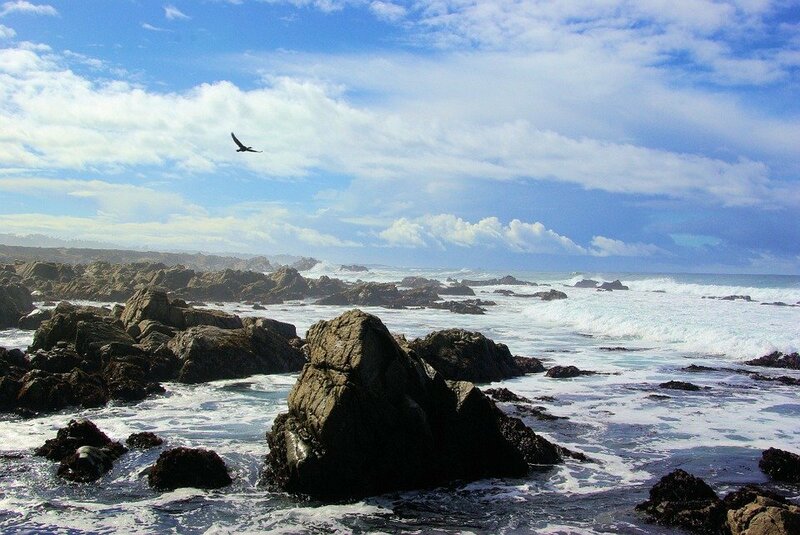 You’re so right, Monterey was gorgeous. I love that you have film of your photos from your trip. Hope you had a nice month-long trip, I can’t wait to read about that one. What an awesome trip! I would be all over the butterfly sanctuary and whale watching! Hope to see you at Fly away friday this week! I was so disappointed that it was too cold for the butterflies on the morning we’d planned to see it. But there’s always next time, right? You can’t see or know about everything! I’m constantly reading about places that are pretty close to where I am that I’d never heard of before, and I love discovering them! Thanks for visiting Erin! I’m obsessed with this part of California! I was lucky enough to have spent three summers out there!